Alpine Gold Trim Promotional Ballpen - Express Corporate - Promotional Products - Delivered Fast! Alpine Gold Range. 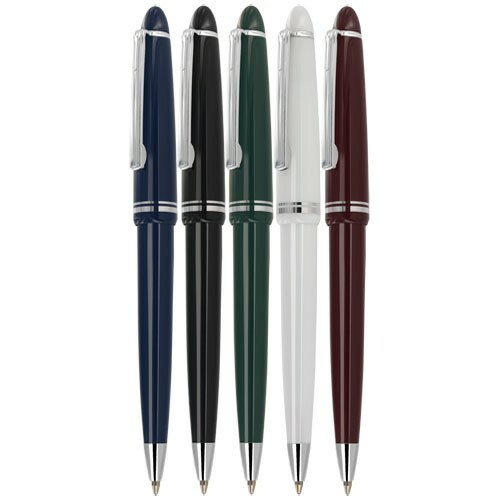 Popular traditional cap-action promotional pens at amazing value. One of our top selling ranges for value, style and quality. Chunky barrels in 5 solid colours with contrasting gold trims for that elegant finishing touch. Fitted with jumbo refills so your messages last longer in the large print area 40mm x 20mm.